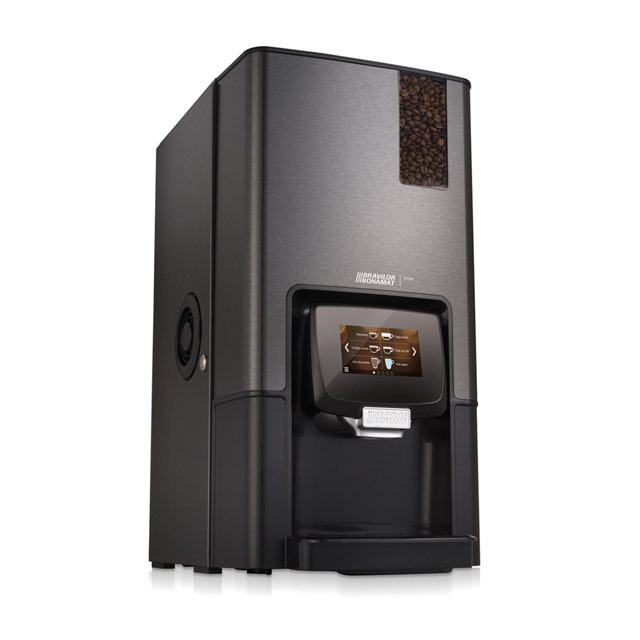 Espresso Drinks, great Coffee, Cappuccino, Lattes, Hot Cocoa, Specialty Drinks - all from one system. We carry Bravilor, Bunn, Cafection, de Jong DUKE, VKI, and WMF machines and with a little bit of daily maintenance you'll have the best of the best without hiring a barista to make drinks for you and your team. Below are our 3 best sellers. Call us for a demo 801-486-3714. Designed in the Netherlands and made in America. True espresso shots, great coffee, cappuccino, lattes and hot cocoa for 30+ drinks. Perfect for the office of 100 or more employees and or guests. We offer weekly service. Your daily maintenance can be done within 10 minutes. Fill the hoppers. Run a daily rinse. Empty the waste bins and you're ready to go. Once a week we will do the deeper cleaning and keep you stocked with fresh product. Minimum quantities apply. Perfect for the executive office or show place. The VKI features a lower profile for easier loading and cleaning. Designed for the 100+ work space, high end auto dealer, hospitality or restaurant. NSF approved. Minimum quantities apply. Sego is a fully automatic espresso machine with three canisters. One for coffee beans and two for instant ingredients such as topping (powdered milk) and cocoa. Using these instant ingredients and one of our locally roasted coffee beans, you can serve various drinks like Coffee Crema, Café au lait, Cappuccino, Espresso, Espreschoc, Americano, Latte Macchiato, Moccachino, and Hot chocolate. Optimal for the 40+ work space, hospitality or restaurant.